LaceUp is the ideal QuickBooks Mobile Invoicing app because it fills the gaps in that the QuickBooks desktop service so well. QuickBooks desktop is great at accounting, but it lacks many of the features that businesses need to process orders. For example, being able to manage your sales reps, create mobile invoices, scan UPC’s, and advanced delivery tools. LaceUp has built a QuickBooks mobile app with all of these features and many more. LaceUp has developed a QuickBooks mobile app that is directly tied in with the QuickBooks software through an integration tool. The integration tool walks you through how to import and export data between the mobile app & QuickBooks. You can set up the mobile app to export invoices, customer data, and multiple warehouse data into QuickBooks desktop software. With this, you will never have to manually input data by hand again. Intuit has approved LaceUp as a QuickBooks mobile app developer for over 11 years. 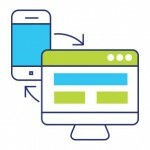 This means that every time QuickBooks desktop has a new release or new feature, the QuickBooks mobile app developed by LaceUp can integrate Seamlessly. Moreover, LaceUp is frequently developing new features that fit the QuickBooks desktop functionality. The goal is to give you more tools to work with that function as one with the QuickBooks desktop software. Imagine all of the time and efficiency that QuickBooks desktop gives you on a daily basis. Now you can combine that with a mobile invoicing app for quickbooks that lets you do what the desktop software doesn’t. With this, you can get the most out of your QuickBooks and minimize the amount of work for your office and your team. Ultimately, LaceUp has developed a QuickBooks mobile invoicing app that when used together with QuickBooks desktop enables you to maximize the return on investment from your employees and distribution enterprise. 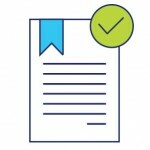 Note: The QuickBooks Mobile Invoicing App integrate will all versions of QuickBooks desktop & Online.